Kids can fuel their whole body by making healthy food choices for the whole body. 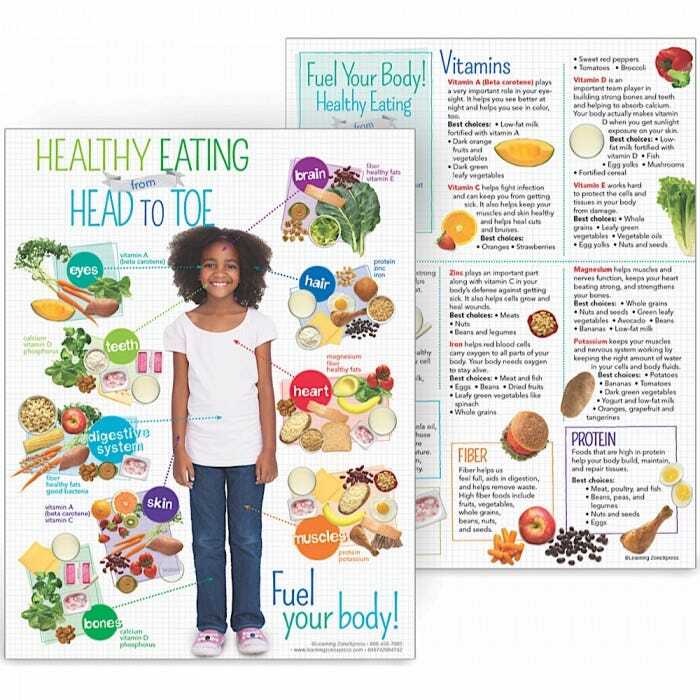 Poster shows nutritious food choices grouped together by the parts of the body they benefit most, including your brain, hair, skin, teeth, bones, heart, muscles, eyes, and digestive system. 18" x 24" laminated. 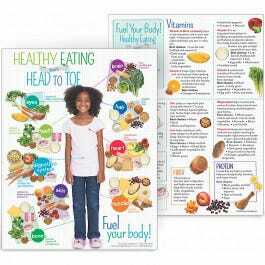 Handouts show nutritious food choices grouped together by the parts of the body they benefit most, including your brain, hair, skin, teeth, bones, heart, muscles, eyes, and digestive system on one side. 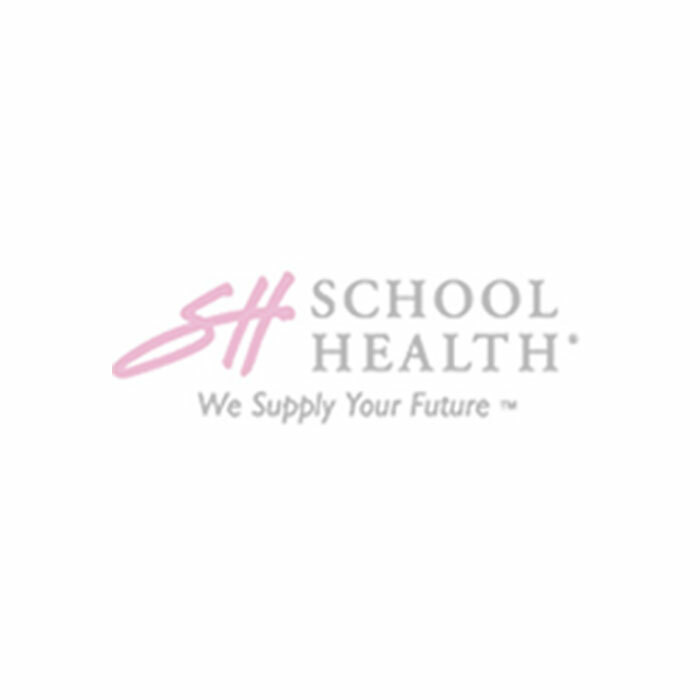 Backside covers the roles important vitamins, minerals, healthy fats, protein, fiber, and good bacteria play in the body, along with brief lists of good food sources for each of these nutrients. 8-1/2” x 11”, 50 sheets, 2-sided.